Punjab state government cabinet has taken few important decisions in the welfare of school Teacher. State government of Punjab will regularize contractual teacher of different government school of Punjab state. These teachers were appointee through the sarva shiksha abhiyan (SSA) and Rashtriya Madhyamik Shiksha Abhiyan. Government has taken decision regarding regularization of school teacher for 3 year on fixed honorarium of Rs 15000 per month. 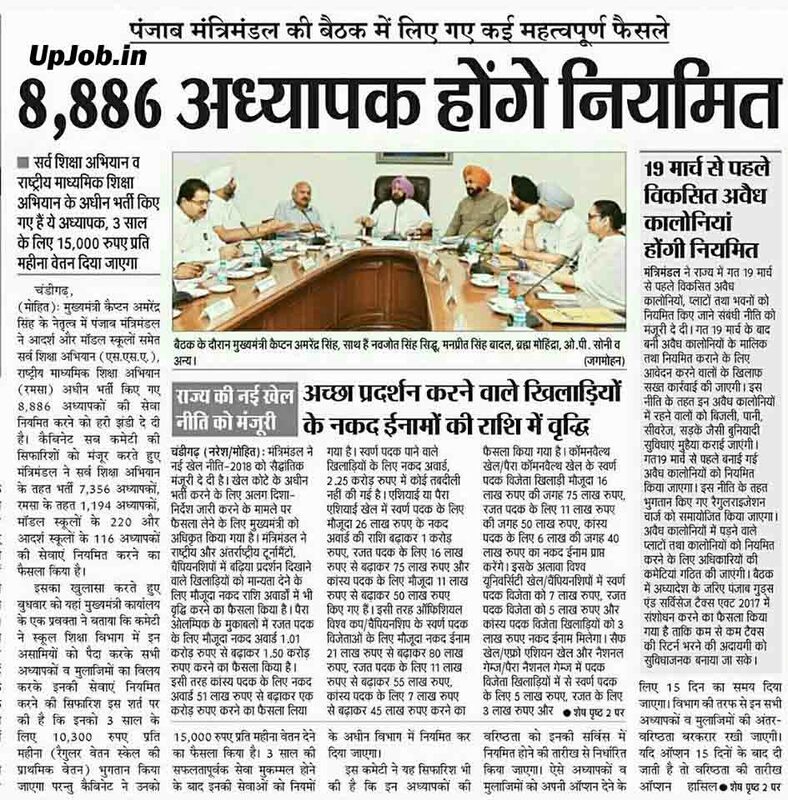 Currently there are 8886 Teacher are working which were appointed as SSA mission and national secondary Education mission in adrsh school and Model school. There are 116 teacher of Adarsh School, 7356 teacher of sarva shiksha abhiyan, 1194 Teacher of RMSA, 1149 teacher of Model school are working. See latest news update of Punjab Teacher Regularization in Hindi.